There are about more than 170 million users who use twitter actively every day. A significant amount of role is played by twitter in the media consumption. Twitter helps a lot in gathering info about a lot of celebrities who tweets frequently. Nearly everyone knows about how to post a tweet and to give a reply to the tweets, but we must know few Best Twitter Tricks and Tips in order to have a better tweeting experience. Below are mentioned some of the Best twitter tricks and tips of 2013 that will help all the users a lot. Here is our 20 Best Twitter Tricks and Tips for you. Keyboard shortcuts: a lot of user spends a hell lot of time on twitter and thus it becomes necessary for them to get a hold of all the keyboard shortcuts that will help in enhancing their user experience. 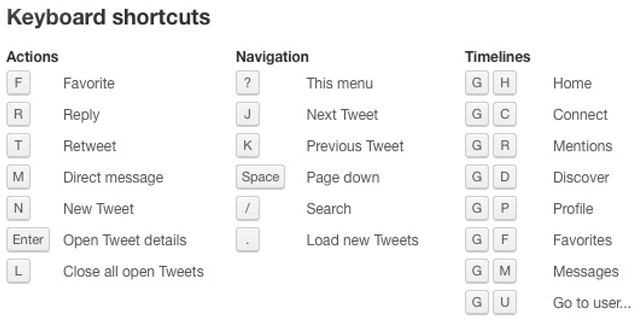 Well, we can find a shortcut from keyboard for each and every task that we do on twitter. Some of the most common shortcuts are “R”, it helps in giving a reply to a tweet, and then is “T”, and this key is used to retweet post. Well, there are many more shortcuts available; one will become familiar soon with them after using twitter for a few days. This is one of the Best Twitter Tricks for you. Apps security: while using twitter, sometimes we allow a lot of apps to access the personal information of an account. Though most of the application would not create a problem, but it is better to check all the apps and to block those apps that the user does not use anymore. Scheduled tweets: sometimes we may have something important to tweet, but it may not be the perfect time to tweet because at that time many would not see it. So, it is better to maintain a scheduled time for posting the tweet. We can do so with the help of several applications that are available. Tweetdeck is an example of one such app that helps in tweeting at a scheduled time, but if we want a better application than this, then buffer is the best one. This is also one of the Best Twitter Tricks. Sensitive content: If a post that is tweeted by a user is not meant for the general public, then that user can activate the sensitive content option. If this is done then before viewing the posts, the viewer will be warned about it. Embedding tweets: previously users used to take a screen shot of a tweet and then they used to upload it for the public to view. But, now we are able to embed such post into our blog post. If such is done, then the visitors can easily view it on the twitter. Hiding location information: some people usually turns geo tagging on and in this way the people can get information of the place from where the person is tweeting. But, if we do not want others to get to know about the location from where the tweet has been done, then we can easily turn it off from the settings. Linking the twitter account with the other social media sites: unlike the other social media websites, twitter also supports the feature of cross posting. This can be done by browsing through the settings option and selecting the correct option. #hash tag searching: if in any case we want to get the accurate result of a particular event or a post, then hash tag searching is the best option to do so. If we know about the perfect name of the hash tag then we can get more info about the post or the event. Advanced search techniques: twitter has recently made a lot of new updates in the search techniques. Now the search technique of twitter is very much similar with that of Google and twitter. If in the above way we cannot complete our search, then there is an advanced way to do so. One more search option is also made available now; it is called “save search”. Twitter SEO: All of us know that there is a close relationship between social media and SEO and therefore a user must optimize his/her twitter account for taking advantage of this. Follow by category: While following other people, he or she should follow them by category. The user should not follow anyone randomly. There is an option in Twitter to search people according to category. This facility should be utilized. This also helps other people to understand the likes and dislikes of the concerned person. Other people can understand the interests of the concerned person. The resources provided by Twitter must be utilized in the best possible way. Those are like trump cards for a user. The themes of the Twitter account must be changed frequently. This will keep the profile alive. Also the user would not feel bored. 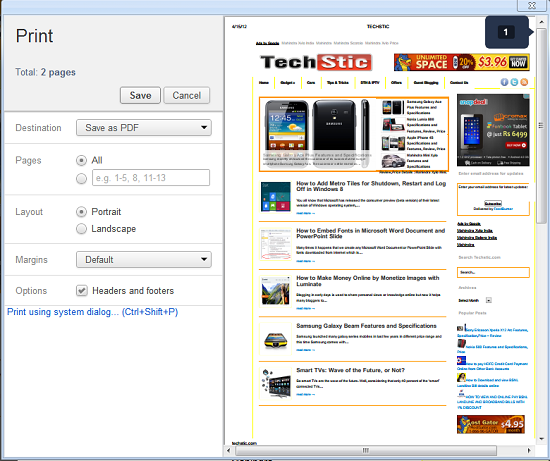 Usage of third party apps: There is a third party app called the Twylah which helps to modify the homepage of Twitter. It will give the info of the user in a better way. All the info can be accessed in just a single click. A person must modify the homepage of their twitter account with the help of this app. Sharing of media files: Many videos from YouTube, pictures and blogs must be shared on Twitter from an account. This will draw the attention of people. People often get bored with so many posts on Twitter. So when they find some images or videos as link, they feel good. They feel like watching those as those are exceptions among the other posts. The videos posted must not be vulgar; otherwise people may repost abuse on a profile. Then the profile will get blocked and it will be a problem. It will also create an impression on others that the profile operator is not a dignified person. Modified tweet: When a tweet that is posted is too big, then in this case we can modify the tweet and retweet it again. We can mark this tweet as MT, and then we can retweet it later, then people can understand that this tweet was edited. 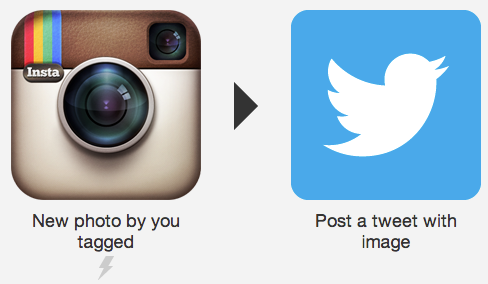 Image quality and size: the image that we tweet in twitter, its quality can be easily modified. We can very easily do so from the settings. Read articles later: there are certain apps available, which we can use for saving a post and then we can read it later. We can activate these types of apps from the settings option. Tweet alerts: one of the recent updates of the twitter helps us to get information about the new tweets that are made by the person whom we follow. To do so, we need to open the account of the person whose updates we want. In his account we should select the settings option and from there we need to select the turn on notifications button. Sleep settings: if we do not want to get notifications about an update during the time when we are busy or we are sleeping. Then we can easily switch off the updates notifications from the settings option. This is very interesting and Best Twitter Tricks when you are busy. Favorites: we can easily bookmark the things that we like. Then later on we can view it or do something else with it. Hope you like our 20 Best Twitter Tricks and Tips for 2013, we will also share more Best Twitter Tricks and Tips in future, so keep watching this space and also share your Best Twitter Tricks for our readers.